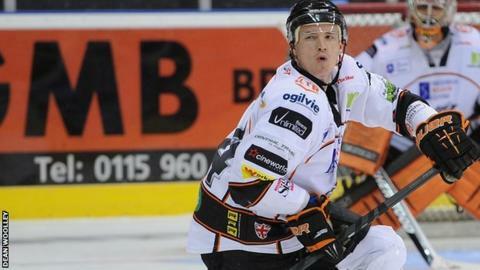 Sheffield Steelers defenceman Mark Thomas is to leave the Elite League side to join Manchester Phoenix. Thomas, 31, made over 600 Elite League appearances for the Steelers in 10 years and helped the club to three play-off successes. "It was obviously a very difficult decision to make," Thomas told BBC Radio Sheffield. "I never thought I'd be here for so long and it's been a great honour to represent them for so long." He added: "I wanted to keep playing as long as I could and now I have the opportunity to do that and look into the world after hockey. "I'll be trying to get over to Sheffield as much as possible."